I keep going back to photos of La Meije and liking different variations. 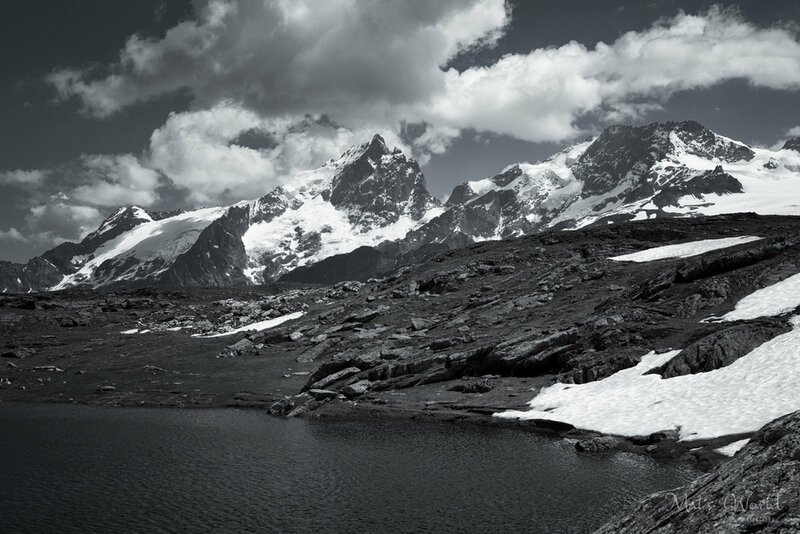 This black and white, kind of dark version, is taken from Lac Noir above Plateau d'Emparis, not far from where I took the one I posted a few days ago. It gives such a different impression.